Convert Bluray Movies to 3D PowerDVD 12 introduces a unique feature to turn 2D Bluray movies into 3D in real time. Rewatch your alltime favorite Bluray titles again in 3D with TrueTheater 3D! Enjoy 2D Videos & Photo Slideshows in 3D! Throw yourself right into the action by converting 2D photos and videos into a super cool 3D experience with TrueTheater 3D. The effect is amazingly realistic and creates a whole new way to enjoy your videos and photos. Watch DVDs in Amazing HD TrueTheater HD gives standard definition DVD and video images the look and feel of true highdefinition via resolution upscaling from 480 pixels to 1080 pixels, eliminating jagged edges and distracting video artifacts. YouTube Enhanced! Now you can apply any of TrueTheaters amazing enhancement technologies to YouTube videos for a far superior viewing experience. Try a clearer, sharper, higher resolution, and better sounding YouTube! Surround Yourself with Sound TrueTheater Surround expands audio output to mimic surround sound on home theater systems for 2channel content, and on conventional stereo speakers or headphones for multichannel DVDs, videos and music files. Enjoy big surround sound without the big cost! Silky Smooth Action Sequences TrueTheater Motion upconverts the framerate of video to 60/72 frames per second (fps) for smootherlooking video playback and fluid, graceful action sequences. Correct Shaky Camcorder Videos PowerDVD is the ideal player for watching videos you have taken with your camcorder. TrueTheater Stabilizer uses advanced technology to minimize the shakiness of your videos for a smooth and steady result. Make Your Videos & Photos Snap! TrueTheater Denoise removes blocky or pixilated effects from your videos & photos, while TrueTheater Lighting delivers superb colors and improves image detail for an enhanced viewing experience. Instant Scale Browse media thumbnails in many sizes When viewing your media library in Grid view, you can adjust the size of thumbnail to the most comfortable size. Instant View Quickly search & browse your media Mouse over the folder thumbnail, then use the scroll bar to quickly browse through photos and videos within the folder without opening it. Instant Zoom Watch for details Zoom in portion of a video or movie scene up to 4x times while it is still playing. Instant Seek Instantly find your favorite scene Lightning fast scene location within your movies using CyberLink preview optimization technology. Smart Media Library Easiest way to browse media View your library in Grid or List view, search media content by name, rating and more. Movie Marks Bookmark your favorite scenes A great way to mark scenes in movies. Hit the bookmark tag, leave a comment and go back to the exact spot later. 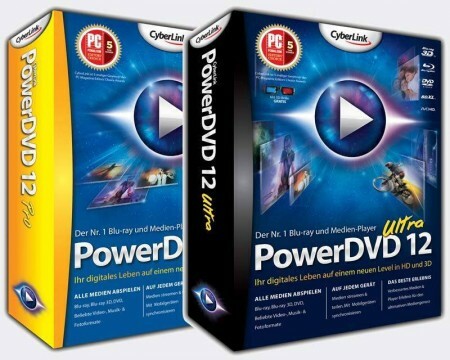 CyberLink PowerDVD v12.0.1514.54 [SW] Download via Hotfile Rapidshare Fileserve Megaupload & FileSonic, CyberLink PowerDVD v12.0.1514.54 [SW] free torrent downloads included crack, serial, keygen.